Yesterday Digitimes posted an interesting interview with its own senior analyst Ming-Chi Kuo who disproved many rumors about upcoming iPhone. He told that Apple once considered using OLED display in iPhone 3GS, but it was found to be unsuitable for displaying text, and now this is a key direction in which Apple is improving its iPhone since the company promotes iBookstore for it. Moreover, in February scientists unveiled that Apple iPhone 3GS' LCD display is much better than the OLED screen in Google Nexus One, because the latter doesn't reproduce colors accurately and has lots of artifacts. 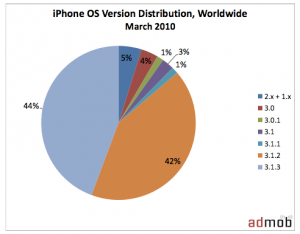 Ming-Chi Kuo also revealed that the work on iPhone 4G was started at the end of 2008. 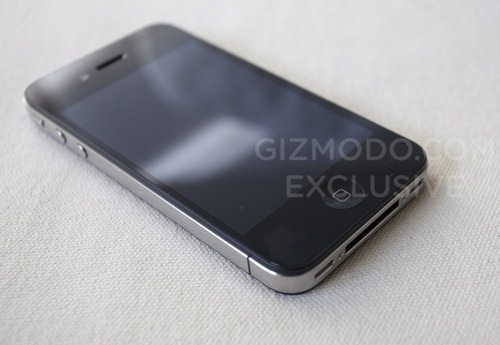 Its codename is N90, and not many people knew about this, but Gizmodo found exactly the N90 prototype. There is another iPhone with codename N91 that is a lesser upgrade that must be used «in case there are major delays [of components] due to significant modifications. 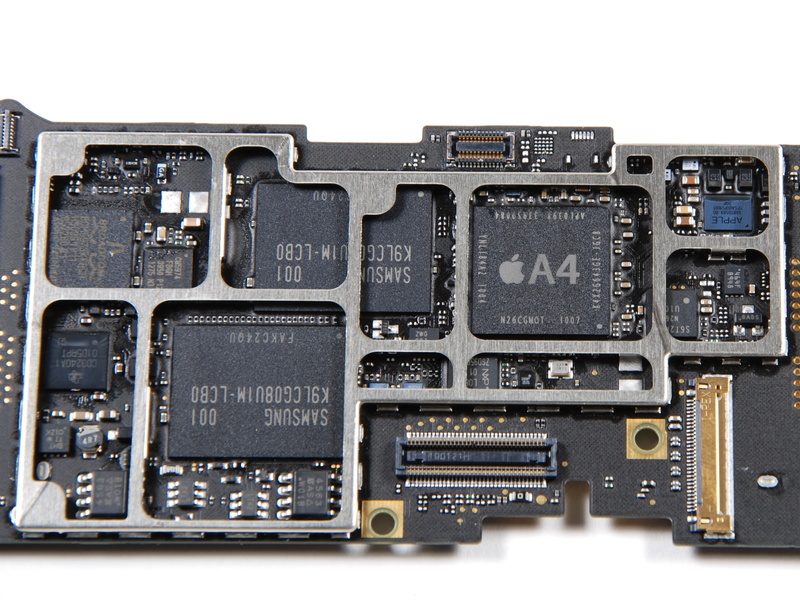 "Since the launch schedule of the Cortex A9 processor is estimated for year's end and iPhone 4.0 is not ready to fully utilize a multi-core processor, the A4 is the most likely candidate". This is not the first words of Ming-Chi Kuo about iPhone 4G, previously we posted another information revealed by him, you can read it here. Gene Munster, who is an analyst at Piper Jaffray, told yesterday that Steve Jobs won't allegedly make a surprise with presentation of the next generation iPhone at the WorldWide Developer Conference 2010. 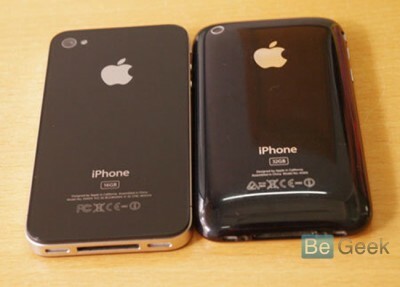 Because of numerous prototype leaks everybody expects the iPhone 4G to have thinner design, front-facing camera, improved battery and 5MP rear camera. But Gene claimed people should not expect that a Verizon-compatible model will be presented. "We believe that it is unlikely that the next generation iPhone will be available at Verizon (or Sprint) at launch; rather, it is more likely that it remains exclusively available at AT&T in the U.S. at launch". He also said Apple may start selling iPhone 3GS for $99 instead of iPhone 3G and provide a "limited demo" of new version of Mac OS X (10.7), that has all chances to support multi-touch technology as a key feature. But as we wrote before it looks like WWDC2010 will focus mainly on iPhone OS 4.0 so the preview of Mac OS X 10.7 will not allegedly happen. 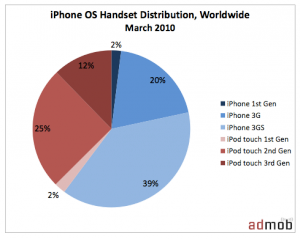 Gene is assured that the presentation of iPhone 4G will have a positive influence on Apple's stock. "...the new iPhone will likely drive unit sales beyond Street expectations, providing a positive catalyst for shares of AAPL in the coming months." Last week Apple has released its iPhone Os 4.0 beta 4 and redsn0w is finally updated to support this as well as beta 1. New version of jailbreak is 0.9.5.b4 and it can be applied on iPhone 3G only(!). Redsn0w 0.9.5.b4 is targeted at developers who make jailbroken apps, and will not work if you are already using blacksn0w, ultrasn0w or yellowsn0w. "You should stay clear of this beta software if you rely on a carrier unlock." Download redsn0w 0.9.5.b4 here. (Only Mac OS X version since app are developed on this OS). Make sure you have already activated your iPhone 3G with iTunes and your own developer ID. Select your stock iPhone1,2_4.0_8A274b_Restore.ipsw (beta4) or iPhone1,2_4.0_8A230m_Restore.ipsw (beta1) file that you used to update your firmware. Choose "Install Cydia" and then click "Next". Use DFU mode to install the redsn0w. When your iPhone 3G comes back up, you will notice Cydia has a blank white icon. It also has no sources so you should go to the Sources panel and add this repo: http://apt.saurik.com/cydia-3.7 (make sure you are connected to the Internet before). 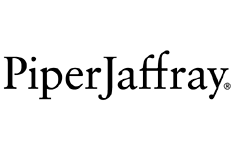 When Cydia restarts, you should see its real logo now, and the standard sources should be ready to use. 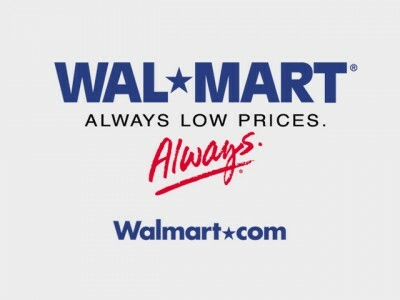 According to CNNMoney Walmart will sell 16 Gb version of iPhone 3GS starting today only for $97. The price reduction refers to a Memorial Day weekend. But such a deal requires a two-year contract with AT&T. 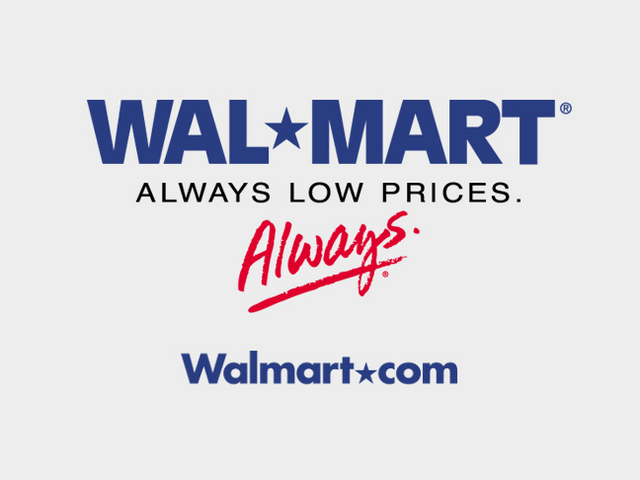 "It is our commitment to always lead on price". The price reduction may be explained by iPhone 4G presentation that will expectedly be held on June 7. Last year Apple lowered the price for 8GB-version of iPhone 3G to $99 because of iPhone 3GS release. 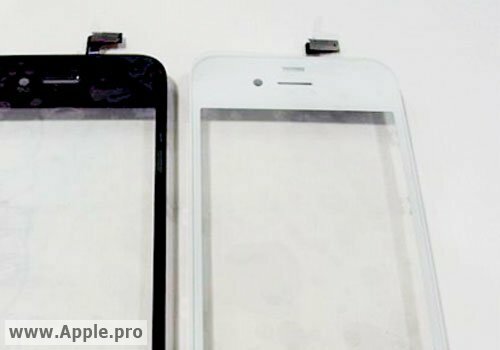 Taiwanese site Apple.pro published several photos of the next-generation iPhone front panel. Surprising absolutely no one at all, Apple seems to offer the next iPhone in black and white configurations. "Jobs requested that Lam return the phone to Apple. Lam responded via the e-mail address...that he would return the iPhone on the condition that Apple provided him with a letter stating the iPhone belonged to Apple." Hours before we posted photos of another iPhone 4G prototype that were obtained by someone from Vietnamese forum Taoviet. It was revealed that device has a SoC with Apple A4 processor and 256 Megabytes of Samsung DRAM. According to iFixit, the marking "APL0398 339S0084" indicates the A4 processor, and "K4X2G643GE" goes for 256 Mb Samsung RAM. "Our engineers are not surprised by this finding. We were very impressed by the extraordinarily low power consumption of the iPad, and remarked at the time that its power consumption and board design was much more in line with handheld devices than laptop computers." 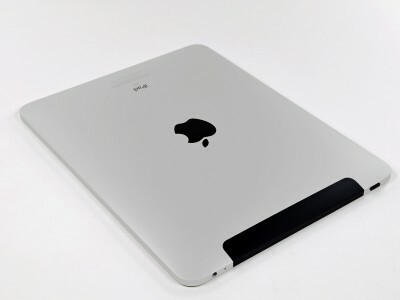 So now we're sure that new prototype has the same hardware as in Apple's iPad. 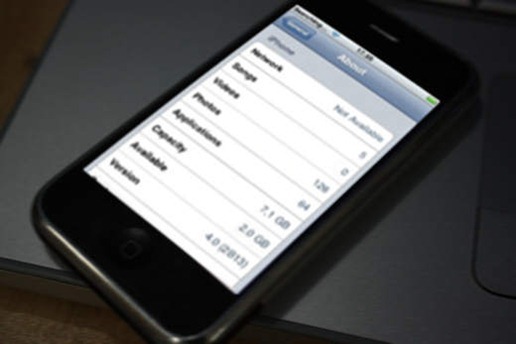 By the way, iPhone 3GS has also 256 Mb of DRAM. It is also examined that the leaked device has a 16 GB capacity instead of Gizmodo's "XXGB", and there are no visible screws on its sites. The new iPhone has a micro-SIM port on its side. A video reveals that new device was turned on but it wasn't running the iPhone OS. More photos of iPhone 4G hardware are posted below and here. According to a web-resource DigiTimes.com (which in turn cites Chinese newspaper Economic Daily News), panels for the iPhone 4G will be also provided by Chimei Innolux, which will join existing Apple's partners Wintek and TPK Touch Solution who have been supplying some parts for iPhone 3GS. The companies will take 15, 40 and 45 percents of total orders respectively. All of the assembly responsibilities will be allegedly taken again by FoxConn, a company that has already had the successful similar experience with iPhone 3GS. The company already began receiving components for the iPhone 4G in April, though there is no information yet about the date of assembling it for final products. The report also reveals that camera modules will be produced by Largan Precision (80%) and Genius Electronic (20%). TXC will continue to produce quartz components and its share will rise from 15% to 40%. Next-generation iPhone is expected to be announced on Apple's annual WorldWide Developers Conference keynote, which will take place at San Francisco's Moscone West on June 7-11. It is rumored that the iPhone 4G will be available for sale soon after its announce. JailBreak for iPad is Finally Available! Finally the jailbreak for iPad, iPhone and iPod Touch from the Dev Team is available for download. It's free and untethered and it's called "Spirit". The jailbreak supports every iDevice with firmware version 3.1.2, 3.1.3 or 3.2. As you already know iPad 3G became available this Friday. Well iFixIt already obtained it and found out what are the differences between its 3g and Wi-fi versions. Here is what they've revealed. iPad 3G has a black plastic window for better antenna reception. It also changes the way to open the device - you'll need to start separating from the right side and then go to the top and bottom of it. One antenna is in the plastic window to handle the cell reception. Another antenna is attached to the LCD frame with the same purpose. GPS antenna is also situated in the plastic window. Wi-fi antenna is in the Apple logo. Bluetooth antenna is situated on the left of the dock connector. To make 3G connections iPad uses the same baseband processor as in iPhone 3GS, and presumably it's the Infineon 337S3754 PMB 8878 X-Gold IC. For GPS connections device has a Broadcom BCM4750UBG Single-Chip AGPS Solution. More photos of separated iPad 3G are posted below. iPad 3G Is Already JailBroken! Wow! Hours after iPad 3G sales launch and it has already been jailbroken! Below is a video of MuscleNerd where jailbroken iPad 3G runs Cydia. MuscleNerd used the jailbreak called "Spirit". It's a tool that makes untethered unlock of iPad, iPod Touch 3G and iPhone 3GS and DevTeam promises it will be available soon. Stay tuned for further instructions how to save your SHSH Blobs and then use Spirit to jailbreak your device.